I never thought this would really happen…. today mark’s 5 weeks for me. No, not my post baby weight loss journey. That was going FABULOUS!!! …That’s until the phone call came on January 15th that froze my mind, heart and confused me to smithereeenz. I printed out my scriptures from the Word of God to fight this battle of faith. While nursing sweet Benjamin I would stare at those verses and sometimes I would get enough faith to mutter them out loud. It wasn’t the cancer itself that was a problem because many people have skin cancer which is the easiest and best cancer to have, right??! It was the fact that he was after my faith, fear and confidence in Christ. He went for my FACE!! He was, and is, after how we see our reflections in the mirror. How dare he stoop so low. Yet, although I know better, he got me good. The cancer was removed rather quickly and easily from my chest. Stitches healed and removed in a matter of 2 weeks. Yet, 5 weeks ago I went in for a typical mohs procedure to remove the cancer from my forehead (the cancer that the general practitioner told me wasn’t cancer…another story for another time). They start digging away at my forehead. This doctor came back the first time with the results and said “we’re going to be here awhile.” It didn’t look good. That’s when I started to shake. I obviously texted Robert to come be with me. The “three hour max” surgery time might be the longest three hours I ever spent. I hadn’t seen ANY pictures online because I didn’t want fear to set in. Therefore I stayed clear from the Internet. So I let Robert do all that for me. 😉 And I’m glad I did that. Robert didn’t tell me what was really about to happen to my face. An emotionally exhausting 5 1/2 hours later, the cancer was all gone and I was sent home with an unstitched quarter sized “ice cream scoop” out of my forehead. Yes, I know!! I didn’t know that skin could go THAT deep either!!! I still have a “hole” in my forehead but I feel that I’ve turned a corner. My spirit has been strong and my mind is now catching up. 4 days back in the gym and I’m getting back to who I KNOW HE created me to be. Yes, I’m still 30 lbs away from prepregnancy weight & 40 lbs from my fittest, but that’s SO okay with me right now. These last 5 weeks were meant for evil but our good God is turning it for good! The nights after locking the bathroom door to change my bandages, and cautiously and unnervingly get a glimpse of my face, I would crawl into bed afraid for Robert to even look me in the face. I just wanted to hide. I would roll over and silently sob. The enemy would whisper to me how he’s filled my whole body with cancer. Not just my skin. He’d tell me when I’m going to die. How I’m going to die, and that I’ll never be used by God. Just simple lies that I didn’t want to hear but I kinda believed. Robert, knowing my struggle even without me having to say a word was my rock. He wouldn’t try to jazz me up or make me feel better. He’d just hold me as I silently sobbed from the pits of my soul. He would pray over me and pick me back up out of my drowning sorrows. He lifted me back into the Truth of Christ. In my reflection is HIS perfection. And in that perfection is our purpose, potential, and all things beautiful! when you don’t see your face in the mirror anymore…. 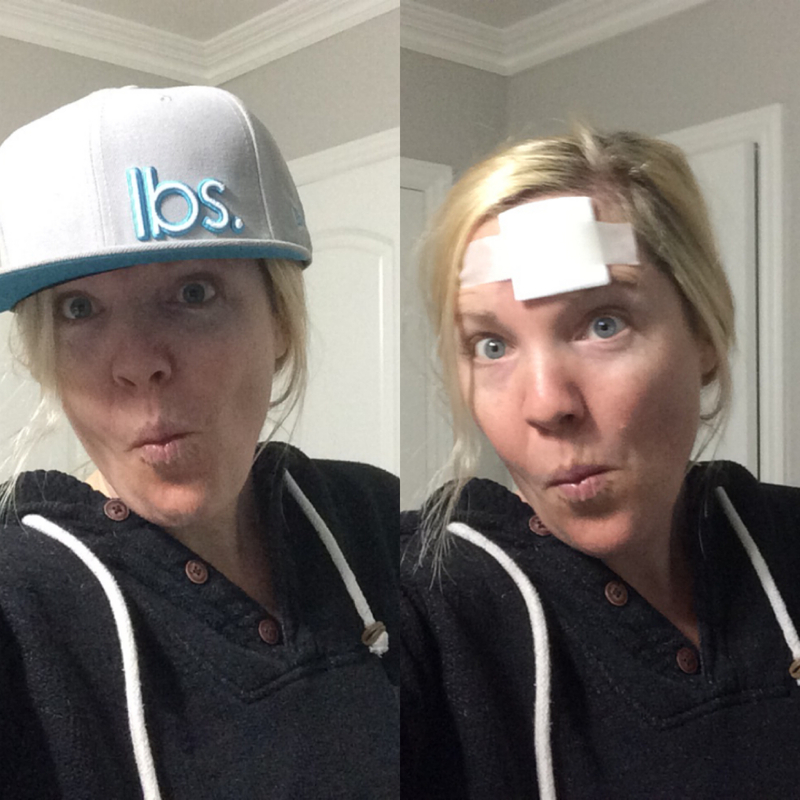 when people don’t recognize you because of your bandages and weight gain…. when you see fear in all things…..
I’m in the middle right now. The next battle is the cancer on my ear. To which I am praying I get to keep all of my ear. Dead cancer cells in the name of Jesus. Yesterday was the first day I looked out the window while doing dishes and could whisper to God “thank you”….. thank you for never leaving me, thank you for giving me more beauty than what I see in the mirror…. thank you…. thank you Lord. What the enemy meant for evil, God WILL use for His good!!! Thank you Father for using me. « Ever been in this situation? And the above was Glenda. 😉 Love you!! Oh Jamye! I had no idea! Im totally praying for you! Love you!! Jamye – I have had surgery on one of my ears for skin cancer as well. God saw me through that and I know He will walk this with you. I can’t guarantee you’ll come out of it looking like me (haha – let’s hope not! ), but with Jesus by your side and Robert to take care of you I know you will be fine. We’ll be praying for you! You are a beautiful woman inside and out. You have an amazing heart and to know you feel this way touched me in ways you cannot imagine. If you haven’t seen this already, check it out…I hope you find it comforting in some small way: https://g.co/kgs/mJ127d.